Bizzy Beeker is home with Rick in Western Hills. 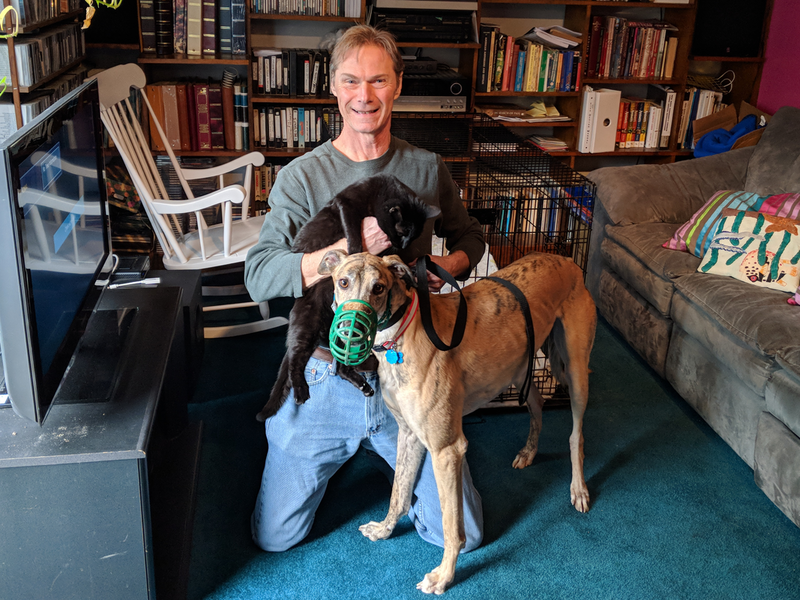 Rick applied in November to adopt a big, brindle boy! He waited awhile, but he got his wish, Bizzy Beeker, now called Braxton is a big loveable kind of hound. He met Rick's cat, who made it clear who was in charge! We hope to see Braxton and Rick at our 2018 events!